Try to remember the kind of Septermber. September 2015 was a busy month. We had the annual Apple product launch event on 9th Sep. Then we had the iPhone preordering a few days later. This time the process start at 3pm on 12th Sep in Hong Kong. 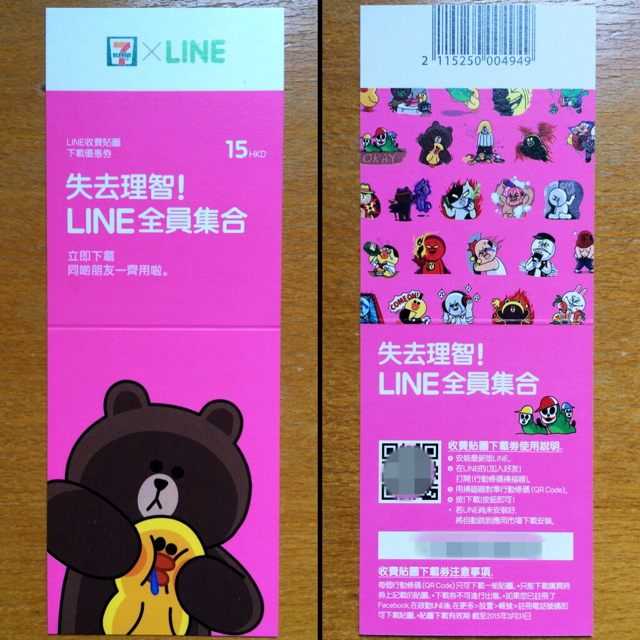 Last time it was difficult to get an iPhone 6 Plus in Hong Kong and the preorder stock was sold out in two hours. Then at the launch day we had the iReserve process which opened each day at 8am to allow people to register and buy iPhone in store the same day. In order to buy it successfully, many people (including me) used their laptop and iPhone and iPad concurrently to try to access the system. It was one the most popular annual MMOG, worldwide! The iPhone stock was sold out in minutes each day consecutively for a few weeks. Only professional typists, BOTs, lucky and hardworking people could order successfully at iReserve! This time I didn’t want the new iPhone much because I didn’t want to do much hard-work to get it initially. I might even skip this S upgrade and wait for iPhone 7. 12th Sep was a sunny Saturday afternoon and I was calm and well prepared. Sharp at 3pm I tired to access store.apple.com/hk using my computer, repeatedly pressing command+R to reload the website but failed to do so. The online store was too busy to be accessed, as expected. Unexpectedly I could access the iPhone preorder section of the Apple Store app on my iPad. And I was surprised that I made it! My new iPhone delivery was scheduled sometime between 8th and 15th October. Good. I am happy waiting my new gadget in a couple of weeks. This preorder process (and success) was a great experience. Many other people also said that they made the preorders via their iOS devices too. I was thinking if this time Apple made a new arrangement: there were more dedicated server resources to support preorders from Apple customers (which are not likely iPhone smugglers) using iOS devices. PC users using browsers and BOTs are competing for another set of online store server resources. It was easier for iOS users to get connected. If so it was a great CRM implementation! Help your loyal customers to do businesses with you! Next? iPhone Upgrade Program rollout to other markets. The new Notifications Center is better too. Sort by time makes much more sense. Search feature in Settings is very useful. We can disconnect connected Bluetooth devices individually at by Settings > Bluetooth. Thanks! It seems there are changes in VPN and some VPN apps are not working. VyprVPN v2.6.6.2456 works. Thanks! WatchOS 2.0 was late but available on 21st Sep. I had to turn my Apple Watch off/on to download the new OS. As Ben Thompson said in Exponent podcast episode #53, Third-party Complications should be the most useful and important feature. However, not many watch apps support the new feature. Sleep++ supports it. It was developed by David Smith who also develope Pedometer++, which supports Glances and is very handy and useful. And, El Capitan is now available! Surprisingly, in a good sense, my iPhone 6s Plus was delivered today 30th September! Five days after the global launch! Great! Why Rose Gold? Because it is new. Blink. The device is very and there are a few reviews. Some more detailed reviews will arrive in the coming weeks. Phonearena found that the iPhone 6s/6s plus battery last longer than previous versions! Amazing! Touch ID is very fast. I am hardly required to type my lock screen passcode. Great. It is better to hold the iPhone by left hand. It is fine for me to us my left thumb (to use 3D Touch) to press the left edge of the screen to go to app swticher. My right thumb cannot reach the left screen edge. And it is better to use a thinner case which does not obstruct the screen edge. 3D Touch is hard press, not long press. It is about the physical force, not time. We had iPhone 5 Space Gray in 2012. 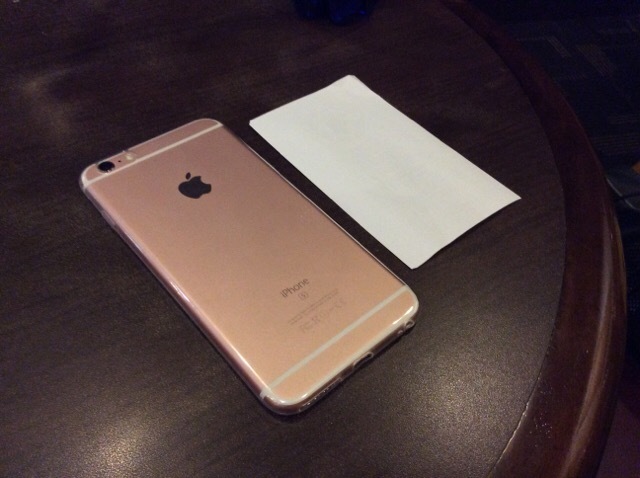 We have iPhone 6s/6s Plus Rose Gold in 2015. Huge changes in three years. Both are beautiful. September is over. Try to remember. Most of us are busy watching World Cup 2014 this early summer. TVB gets the sole TV distribution in Hong Kong of this soccer event in Brazil. 22 out of the total 64 games will be available on TV for free. For the other 42 games, Hongkongers either subscribe paid service from TVB or NowTV. Subscribers can watch all the games via TV, computer, smartphone and tablet. The mobile device app myWorldCup is great and provides both live game and goals/goal attempts replay. The app is geo-restricted to be functional for Internet users in Hong Kong only. I am one of the subscribers and I watch the games mainly on my iPad. It is HD video. I can watch it anywhere, provided my device IP address is a routable IP address in Hong Kong. The World Cup lasts about one month and it happens that I’m not in Hong Kong sometime during the period. I need a VPN to connect my iPad/iPhone to Hong Kong! -VyprVPN is one of the VPN providers with good VPN server coverage in Hong Kong and Asia. -VyprVPN price is reasonable. Support multiple connections. The bundled Dump Truck storage is a nice plus! I prefer to use OpenVPN because the VPN connection setup is faster than L2TP/IPSEC. From my experience OpenVPN and L2TP/IPSEC connection speeds are similar. The OpenVPN app provides more information than the VyprVPN app. 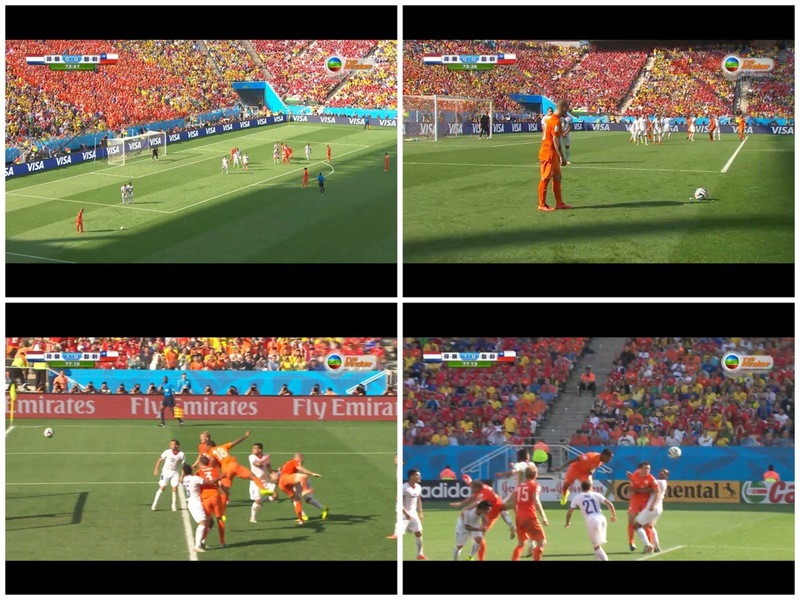 The live games were streamed via HLS and it was likely that the maximum bitrate was market standard 2Mbps. I found VyprVPN supported more than 2Mbps connectivity between my devices and the Internet in Hong Kong. I used Speedtest with test server in Hong Kong and most of the results were more than 60% of the broadband speeds! Based on the OpenVPN app, there was about 2GB data transmitted via the VPN in two hours, so we have the HLS bitrate at 2GB/2hr = (2048*8Mb)/(2*60*60sec) = 2.28Mbps. It is explicitly listed on the VyprVPN official website that multiple concurrent connections are supported. VPN software is available on most common platforms. The support page is written very clearly and it is very easy to follow the instructions to set up OpenVPN. All this well written information make me find that VyprVPN provides good services and customer supports. Good companies help their customers to do businesses with them and use their products/services. Cheers! Enjoy the World Cup! a.OpenVPN is an SSL VPN implementation and is not compatible with IPSec, L2TP, or PPTP. See OpenVPN.net. b.The iOS OpenVPN client uses PolarSSL and is not vulnerable to the Heartbleed OpenSSL bug. c.VyprVPN users are safe from Heartbleed bug. d.[update] It is a surprise to me that I received a thank you email from VyprVPN after a few hours this blogpost was published! Anyone who read this blogpost can get a 50% discount for the first month from VyprVPN by clicking the banner below! Cool!! 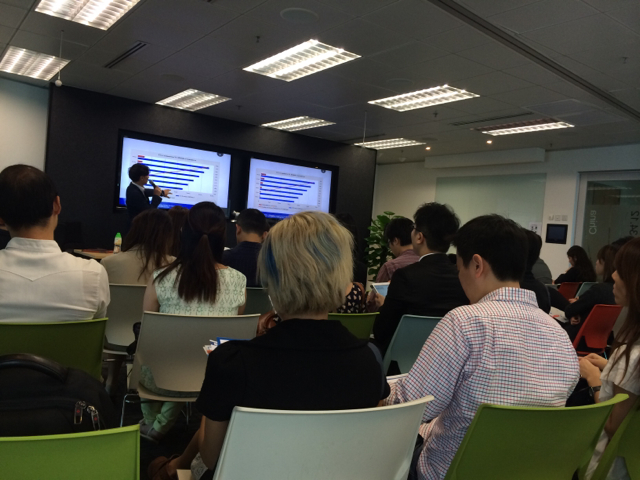 I attended the “Crafting a Successful O2O Dialogue” seminar early this week organised by one of my partners. It focused on Online To Offline, a new business mode combining the online shopping and the front line transactions. Speakers from Bluecom, NDN Group, SalesCatalysts and PayPal shared a lot of valuable knowledge and experiences. As glass screens get more time & mind shares of people, companies are trying to engage their customers online as well as in the brick-and-mortar retail shops, and vice verse. One of the key success factors to drive more businesses is to have a holistic strategy and execution to connect online and offline customer experiences. O2O is in fact not very new. It is everywhere. Step back, watch out. It is obvious. 1.Cross-border shopping spend will increase from $106B in 2013 to $307B in 2018. Almost 300% growth! 2.The top reasons of buying online from overseas is to “save money” (80% of respondents), followed by “more variety that cannot be found locally” (79%). Half of the shoppers surveyed use PayPals most often for cross-border purchase because they want buyer protection offered by PayPal. 3.Top five cross-border purchase categories: Cloths/Shoes/Accessories, Health & Beauty Products, Personal Electronics, Computer Hardware, Jewellery/Gems and Watches. 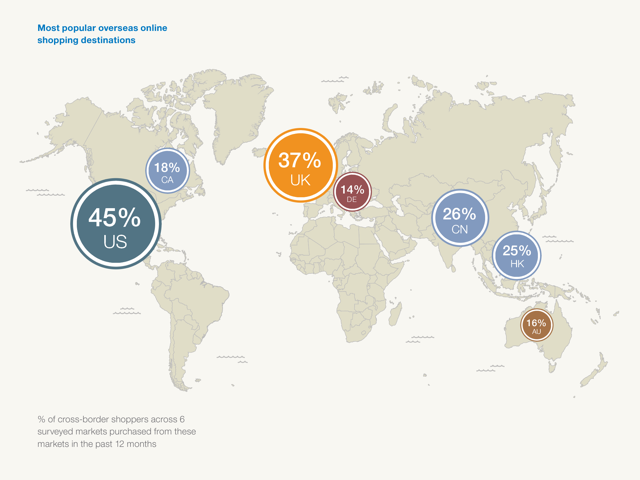 4.More than a third of all cross-border online shopping is via mobile devices. How to ease and speed up the buyer journey is critical to drive more transactions. All these did not surprise me except the last one. Why HK is one of most popular shopping destination? Valid points. Too obvious for me to overlook. In last week WWDC, Apple introduced HealthKit and HomeKit. A lot of articles, blogs and podcasts talked about the event. A good summary is that Apple focused in BTLE and iBeacons the last few years in order to plan for the next Big Thing: “iLifestyle”. Your iPhone will become more context aware – where are you (home, office, shopping mall…), what are you doing (sitting, walking,running, typing, browsing…) and when are you doing exercises. Your home electronic appliance will be switched on/off and adjusted based on your preference stored on your iPhone. Alerts/advises will be given to you about when and how to do sports. Things you may need will come to you when you are shopping and ease/shorten your buyer journey. Computing devices moving from a passive tool to an active assistant. Brand new experience. How? Apple Store will be one of the best places to experience all these. That’s why Angela Ahrendts will focus on “end-to-end Apple Store sales experience”. 1.Vector episode 30 is a insightful podcast about wearables, contextual sensors, and how to make them mainstream. 2.Information is overload and we need content curation to help us explore music, as well as news. Zite’s future is unknown after Flipboard bought it from CNN. 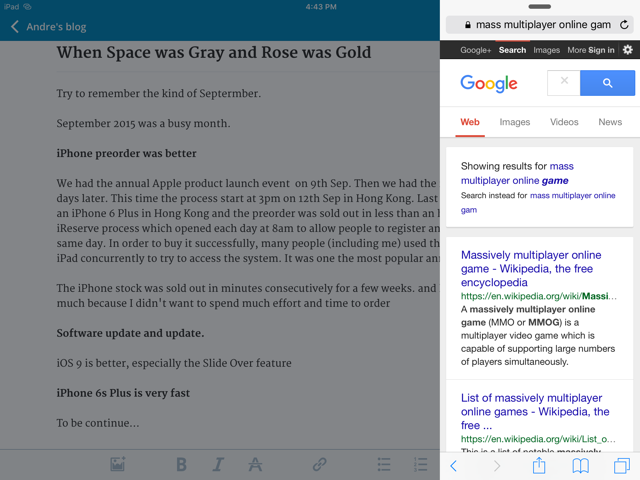 I’m trying other news readers such as Theneeds, Feedly, Newsify and Digg. 3.By replying on content curation, we hand over our information source to third party which may not have the same interests of us. In Exponent podcast episode 005, Ben and James have serious discussion about it. Last week I chatted with different friends in different occasions about how to reach potential customers online more effectively. One critical question is what potential customers will do when they are looking for something? Most of the time Google. Sometimes Yahoo or Bing. Right? SEO Made Simple is a great book about Search Engine Optimization written by Michael H. Fleischner. How easy? Very easy! I use both SEO ideas mentioned in the book and EdgeCast CDN services in my blog and my CDN demo site. In my blog More visitors and higher conversion rates? SEO + FEO, I shared how important is page load time to websites and how FEO and CDN would improve page load time. What every marketer needs to know about page speed’s effect on pagerank is another great article about speed and Google search rankings. I am using the same techniques in this article too. Let’s see later what are the Google search rankings when people Google search “CDN Hong Kong“.